It seems we have reached a new era in time when it comes to food creations. From making hybrids to creating the most outrageous looking desserts and sweets, we can’t seem to get enough of them. They are not only popular in the USA, which is perhaps the biggest contributor of these ideas, but all over the world people are willing to wait hours in line just to get a taste of the world famous ‘cronut’ or have a ‘cookie shot’. 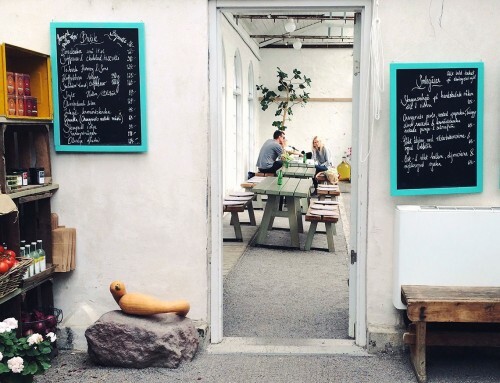 Luckily, small local restaurants and bakeries are also beginning to provide their customers with these new food inventions. Perhaps the most popular food creation and the actual beginning of food hybrids has to be the cronut. 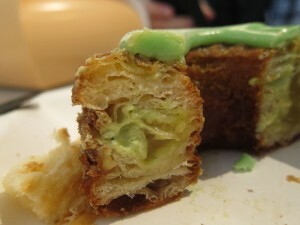 Created in 2013 by Chef Dominique Ansel the cronut became an immediate hit in his hometown New York. Not long after that the hype took on the entire USA and went worldwide. In fact, Time magazine named the cronut as one of the “25 Best Inventions” of 2013. And according to Instagram, it counts over 200.000 hash tags. It can nowadays be found almost everywhere, including popular coffee shops such as Starbucks and Dunkin’ Donuts. Now you’re wondering, ‘what’s the fuss about?’ When thinking about it, you may not find it that surprising. The pastry consists of layers of puff pastry shaped and cut out in circles with a smaller circle on the inside and then deep fried in grape seed oil. In simpler words, it’s just basically a donut made from croissant dough. Hence its name ‘cronut’. The moment I heard of this new creation, I knew I had to try it as soon as possible, and so I did. In early 2014 we went on a family trip to Netherlands, and there I had my chance to finally try this ‘oh so heavenly’ piece of dough. Yes, I actually called it dough, because the second I took a bite from it I knew that this, on the contrary as I expected, may have been one of the worst things ever I had ever put in my mouth. It felt as a mouthful of fat and grease, which is pretty logical if you think about it for a second. I mean after all, it’s layers of butter deep-fried in oil. It had no significant taste, nor did it have the sweetness I was looking for in a usual donut. And there I was, after months of anticipation, my expectations were completely shattered. But I didn’t let that get in the way of having a great day after all, so I ate a good old fashioned triple chocolate muffin. And yes, for your information it was amazing! So after the first fail, I didn’t expect much of these new food creations to be honest. Until one day, my brother and I stumbled on to some video of someone deep-frying Oreos. Yes you read it correctly the first time. 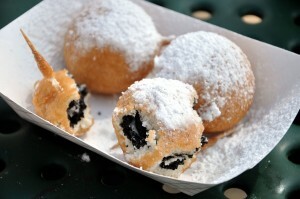 Oreo cookies coated with batter, then deep-fried and finally dusted with some fairy dust, also known as powdered sugar. Now, before telling the actual experience, you must know that my relationship with Oreos has definitely reached a new level. From the day I had first tasted this black cocoa cookie filled with regular buttercream I knew that I could never get enough of them. And here I am 7 years later, still addicted to them. To get back to the story, I knew I had to make a batch of these fried monsters. My brother and I followed the exact instructions and ten minutes later we had a couple of them finally ready on plate, waiting for us to be eaten. I can tell you, as much as I didn’t like the cronuts, I surely did like these fried Oreos. The batter around them had formed a shell, protecting the cookie and the oozy filling inside them. Simply delicious, and a recommendation for everyone, not just the Oreo freaks. Continuing, If you like cookies and milk, then you will definitely love this one. You may have already heard of it since Instagram, Tumblr and Pinterest have been filled of pictures of these little indulgent pieces of art. And who else could be the creator than Dominique Ansel. 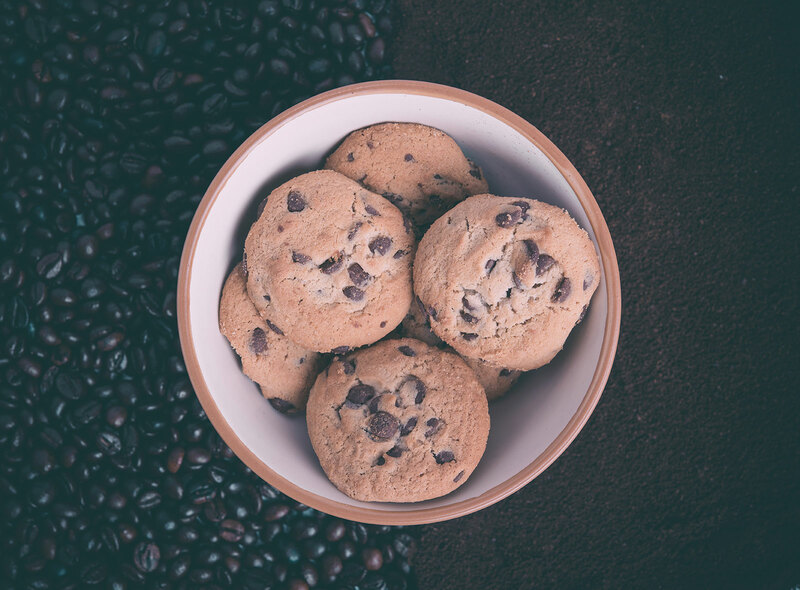 After his success with the cronut, he was surely not done with combining some foods together, and this time he was inspired by the classical American pairing, cookies and milk. On the eye it may seem a little bit strange. The actual glass holding the milk is a cookie! It was first serve at his New York City bakery, but today almost anyone could try to resemble this extraordinary looking sweet. The last ‘marriage of flavors’ again, includes croissants. What else can I say then, you gotta love ‘em. It is the ‘so-called’ cruffin. And it’s exactly what you think it is. A croissant baked in the shape of a regular muffin. They are first known to be created by Kate Reid in 2013, only a short time after the launch of the cronut. Which can make one wonder if there was perhaps some rivalry going on there? 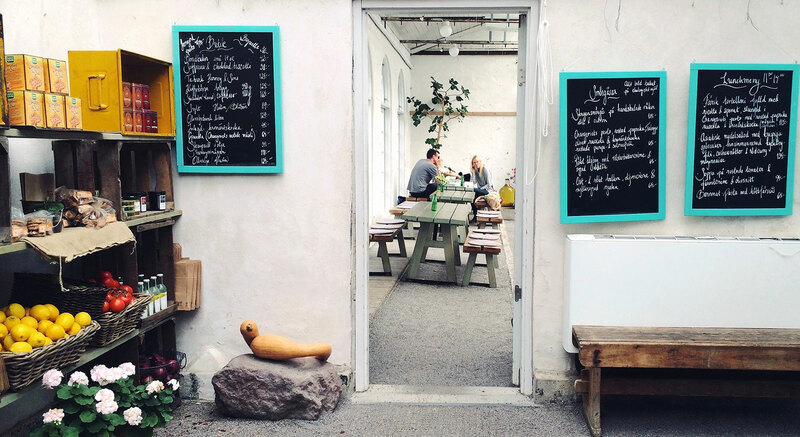 Initially sold at the Lune Croissanterie in Melbourne, Australia, they have become a worldwide trend as well. When you think a little bit longer about all of these creations, one may conclude that it is certainly no rocket science to come up with these ideas. After all, the individual compounds of these creations and hybrids already existed at the time. This only leaves us to think about the most compatible ones to merge. Everyday new ideas come forth, and it may not take long before we hear of the newest hybrid starring everyone’s favorite; chicken and the ultimate breakfast food; waffles. Wait, that’s also already a thing.